How would you like to feel immersed in the soundfield of the movie you're watching, similar to what you experience in a large Dolby Digital or THX commercial movie theater—only you'd be in your living-room, den, or family room? The sound of arrows whizzing over your head in Gladiator, or helicopters flying to your left and right in Black Hawk Down? Virtually every major movie release on DVD nowadays has a Dolby Digital 5.1-channel soundtrack. 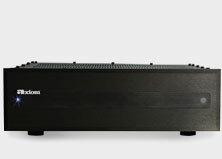 That's six separate and distinct channels: left and right front; a center channel for movie dialogue; two surround channels for directional and ambient sound effects; and a sixth ".1" low-frequency effects (LFE) channel that feeds your subwoofer to recreate the movie-theater impact of those dinosaur footfalls. All this is possible with Axiom's QS Quadpolar multi-directional surround speakers. And it's remarkably affordable. If you're presently using conventional forward-firing speakers in at the sides or rear of your room, or even if you haven't yet installed a home theater system, consider acquiring a pair of Axiom QS4 or QS8 surround sound speakers. 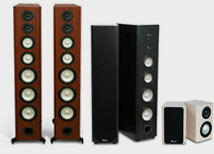 Unlike conventional surround speakers that use only a single woofer and tweeter firing out towards the listener, Axiom's five-sided QS multipolar surrounds each use four drivers, a tweeter on each angled baffle, and a woofer/midrange driver on the tope and bottom of the enclosure. But the QS surrounds do all that even in rooms as small as a modest den. And the QS surrounds are supplied with wall-mounting brackets so you can attach them out of the way two or three feet above ear level to either side of the listening/viewing area. 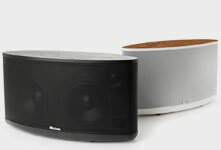 Axiom QS surrounds come in two sizes, for small to medium and large rooms. Think of a medium-sized or typical living room as having about 2,200 or 2,500 cubic feet, or measuring about 18 x 14 feet with 9-foot ceilings. 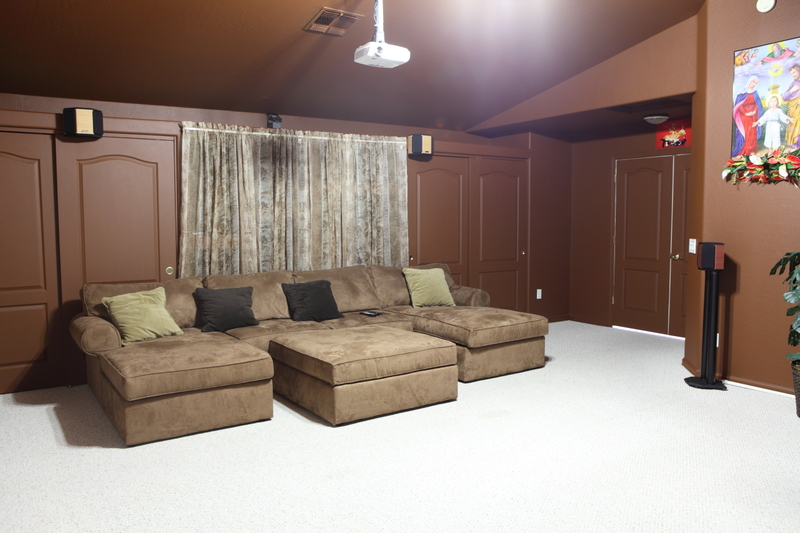 Axiom's QS4 Quadpolar surround speakers would be ideal for this room. The QS4 uses two 1-inch titanium-dome tweeters for high frequencies and dual 4.5-inch aluminum-cone woofer/midranges in a sealed enclosure available in Boston cherry, black oak, or maple finishes. The cost? Just €471.00 EUR per pair, including all taxes, duties, and two-day FedEx air shipment anywhere in North America. 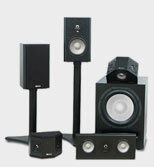 The QS8 surround speakers are best for large or medium-to-large rooms, those with over 2,500 cubic feet. The QS8s have dual 1-inch titanium dome tweeters and twin 5.25-inch aluminum-cone woofers. The 1-inch tweeters also use 1-inch voice coils for high power-handling and extra-clean sound at realistic levels. Axiom's QS8 Quadpolar surrounds are priced at €604.00 EUR /pair . All the Axiom QS surrounds include all taxes, duties, two-day FedEx air shipment, a 5-year warranty, and the 30-day in-home money-back (less return shipping) trial if you're unsatisfied with Axiom's enveloping sound quality. If you need advice on which pair of Axiom Quadpolar surround speakers would best suit your room, please don’t hesitate to call our toll-free number – 1-888-352-9466 – between 9:00 am and 11:00 pm Eastern, to get free, friendly advice from our Audio Experts.